Charles Durrett is busy. He has been designing, teaching and building cohousing communities in the United States since he brought the concept here from Denmark with Kathryn McCamant some three decades ago, but this year things are different. “Instead of working on demonstrating the value of cohousing, our firm is occupied keeping pace with a number of communities under development. I’m also just completing a new book to help others initiate their own cohousing community.” observes, Durrett. Cohousing is just now really hitting its stride in the United States. The US Cohousing Association reports that there are currently 165 established cohousing communities with another 140 forming. Durrett himself is working on a dozen projects in the United States and Canada in different stages of development. Cohousing is a planned community consisting of private homes clustered around shared space. While each attached or single family home has traditional amenities, including a private kitchen, there are shared spaces that reflect each community—often with shared community kitchen, lodge house, gardens and outdoor spaces. The legal structure is typically a homeowner association or housing cooperative. McCamant & Durrett Architects (MDA) designed the first US cohousing community in Davis, California, completed in 1991. Affordable living and sustainable housing concerns are major issues confronting every age group in America today. Healthy, educated, proactive adults want to live in a social and environmentally responsible community. They also seek to maintain a quality lifestyle while stretching their dollars further into the future. Millennials looking for homes are finding traditional single family homes out of reach. 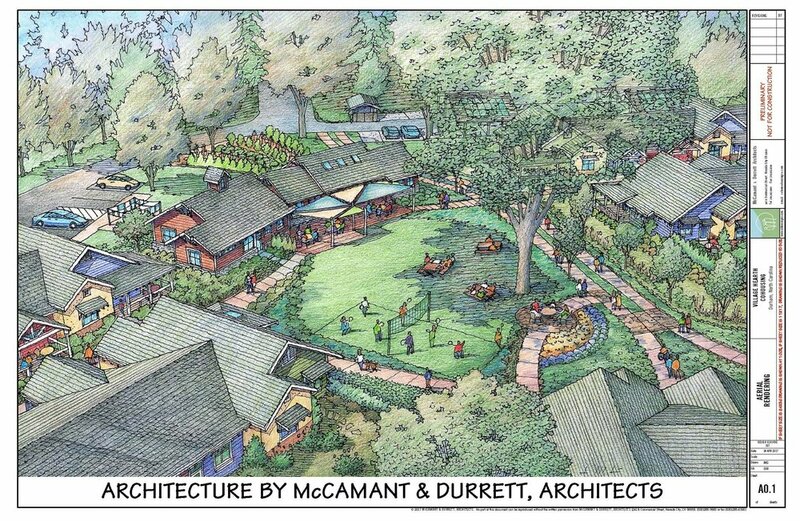 Durrett is seeing family and specific populations building their own lifestyle-based housing, like LGBT Senior Cohousing in Village Hearth Cohousing in Durham, North Carolina, a community Durrett has helped initiate. 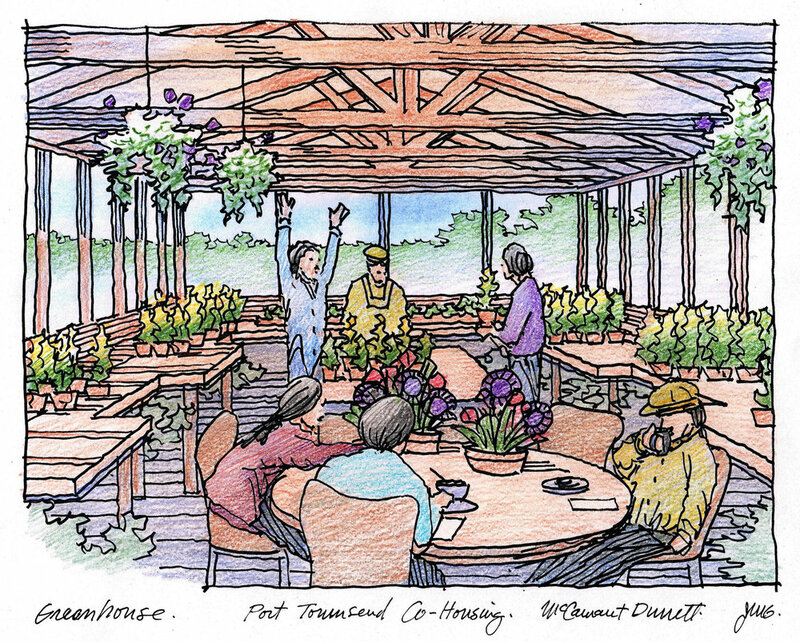 This will be the first LGBT senior cohousing project in the US, and maybe anywhere. 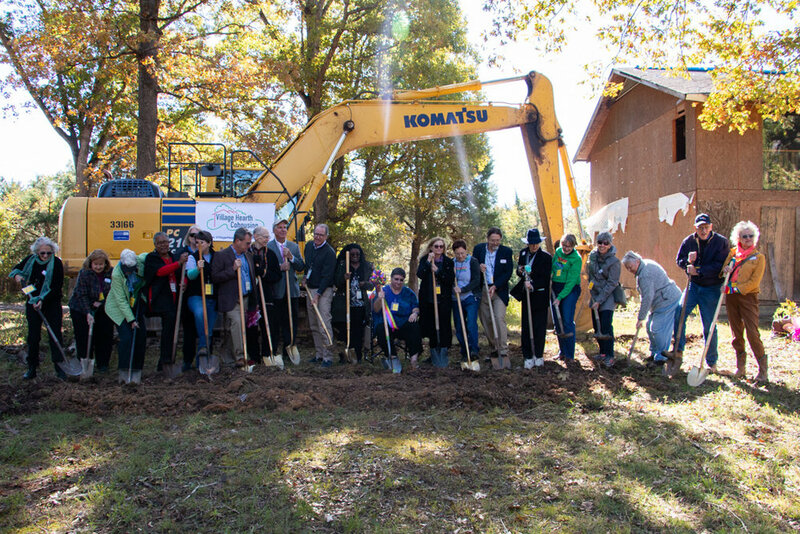 Village Hearth Cohousing celebrated their groundbreaking. Photography by Luke Hirst. Writer Pamela Biery caught up with Durrett and quizzed him on the “hows and whys” of 50+ cohousing. Q: What are some of the unique characteristics of 50+ cohousing communities? A: One word: proactive. These communities are filled with individuals who are choosing to take control of their destinies through planning, not leaving things up to chance. For instance, accommodations are made for shared caregivers to live on site and long-term mobility and access issues are examined. Just the process of thinking things through as a group changes cohousing participants, preparing them with realistic views of their future. Q: What are some mature adult cohousing benefits? A: Emotional well being, saving money through shared services and community and maintaining independence for much longer than is commonly possible. Today, more Americans live alone in their later years, a significant health concern. This is a reflection of our culture, and one that we have the power to change. New York University sociology professor Eric Klinenberg notes that social attitudes need to progress so older people can stay connected as they age. — Klinenberg, in a post concerning end of life issues. The biggest cohousing benefit for any community is living with kindred and having a number of close friendships. But it cannot be overlooked that cohousing costs significantly less than other senior facilities and gives the longest possible independent lifestyle—good for living a full life and conserving financial resources. 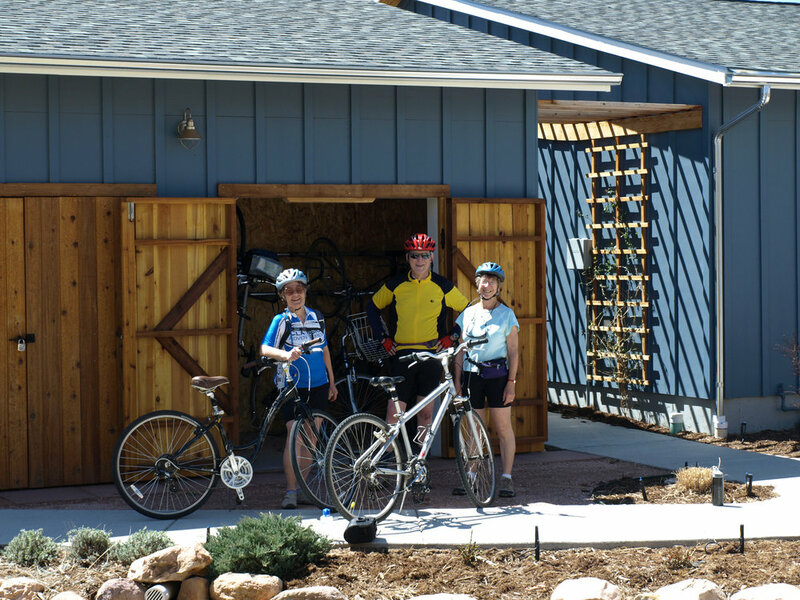 Q: How does cohousing reduce an individual’s carbon footprint? A: Cohousing takes an individual out of the single home mindset. Top of mind: better lifestyle, greener lifestyle. Seniors realize that it’s really okay to leave their ranchette and move closer to town knowing they will be living with people they are comfortable with and that they are creating a home they can easily maintain for the next 20+ years. This alternative is much more fun and inexpensive for all involved, and much less damaging to the environment. Site location that allows for walkable lifestyles is a large factor, as well. 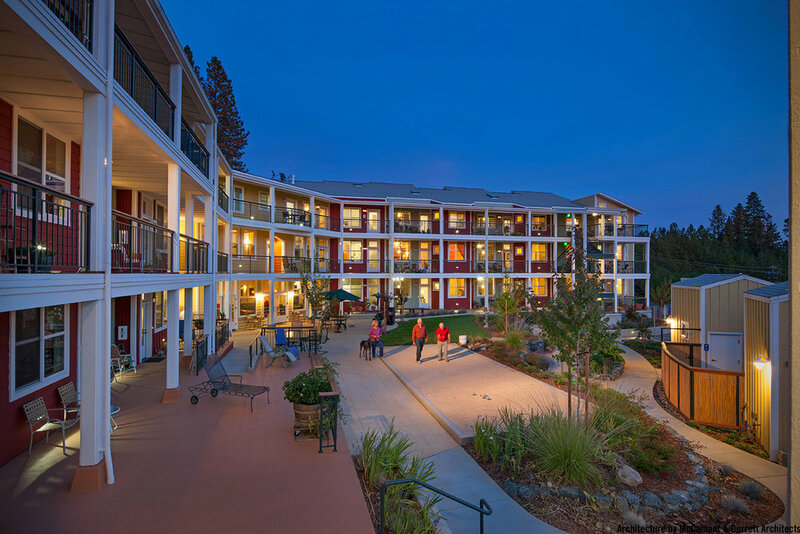 Wolf Creek Lodge, a senior cohousing community with 30 units, built on 1 acre, is within walking distance of downtown Grass Valley, population 12,000. Nevada City Cohousing is also a short stroll to the downtown historic district. Cohousing is a mind shift that is not just greener—it makes a better life. Residents at Wolf Creek Lodge celebrate birthdays with one another! 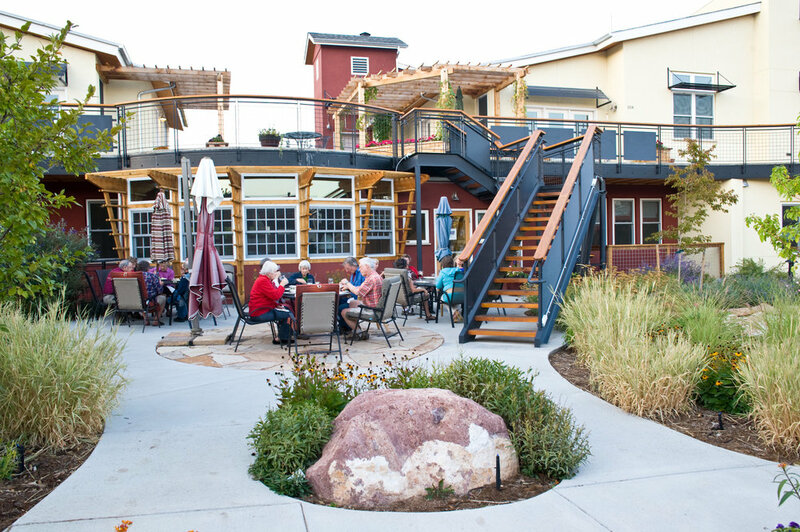 Q: How would cohousing affect my retirement planning? A: Cohousing is a proactive, realistic way of addressing issues. It's an ultra-responsible approach to assessing how to provide for one’s own future. Everyone in the process is dealing with understanding that mortality is real and that aging successfully means examining the whole person benefits—economic, emotional and physical well being. Cohousers choose to place themselves in a fun, life-affirming and embracing community. The big thing here is that by living independently longer, money is saved at every juncture, so by taking control, resources can go much further. Turns out that an independent, quality life costs less than facilitated retirement. Q: What kind of start-up process is involved? A: First off, contact a cohousing company. They will find out what considerations and requirement are needed for your specific area. They will also be able to guide you in forming a group. Next, read the book. Then start talking to friends. Host a presentation in your town, secure a site. You may already know some of your new cohousing neighbors. Hear Charles Durrett Speak at The National Cohousing Conference May 30-June 2, 2019 at the Downtown Portland Hilton. Watch for his new book, profiling the successful development of Quimper Village Cohousing in Port Townsend, Washington and see other cohousing books here. Cohousing events and speaking engagements, along with news on developing communities, can be found here. Sign up for Cohousing Co. news and occasional updates, including the new book release, with the working title, Quimper Village Cohousing: How 40 Seniors Made A New Neighborhood to Suite Their Real Needs. Older adults are discovering the value of taking control of their lives. Socially, financially, and environmentally it makes sense to live near people who care about you, but until you can work with others to create this scenario, it is just a good idea and nothing else. Senior cohousing communities, and groups inspired by cohousing, grow from that need to move things forward into a collective of organized and forward-thinking activists. The result far exceeds expectations, in many cases. Being organized is being in control. 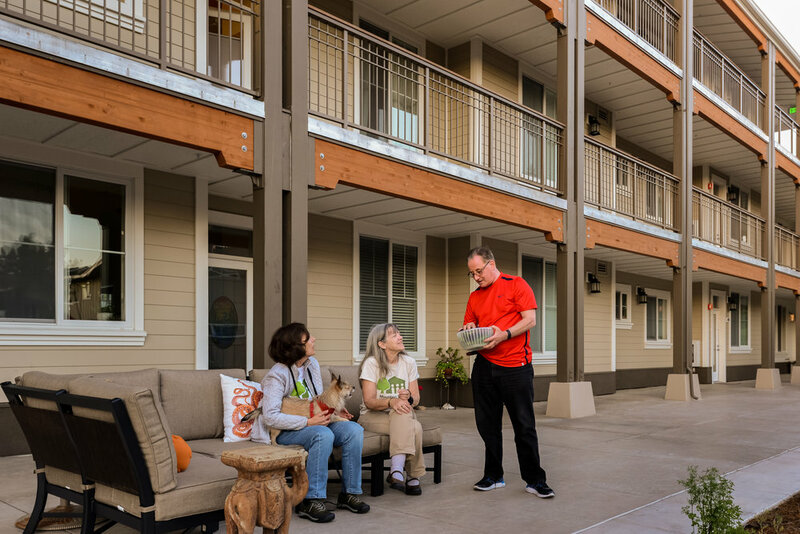 While senior living facilities are taking steps to support their residents more than ever before, they still cannot offer what senior cohousing groups can. One way to begin this process is by taking Study Group 1 (Chapter 7 of The Senior Cohousing Handbook: A Community Approach to Independent Living ). After SG1, senior cohousing groups go through a series of workshops which develop cohesiveness and clarity within, along with setting expectations and later co-designing the community of their dreams. It is important to note at this point that none of this can happen without the group being on the same page and out of denial. Cohousing communities aren’t created by one visionary, but by many who share in the vision and, through consensus and being prepared, can decide what is best for all. The result is a neighborhood that not only symbolizes their desire to take an active role in their aging scenario, but also their commitment to supporting, listening to, and living in community with each other. Learn more about senior cohousing at the Northeast Regional Cohousing Conference September 21 – 23, 2018. Cohousing expert, Charles Durrett, will lead Senior Cohousing 101, an all-day intensive exploring an effective solution to senior housing. Senior Cohousing 101 will explore the senior cohousing movement, both concept and its history, and why it is gaining popularity and proving to be a great solution to the senior housing challenge in the U.S. today. 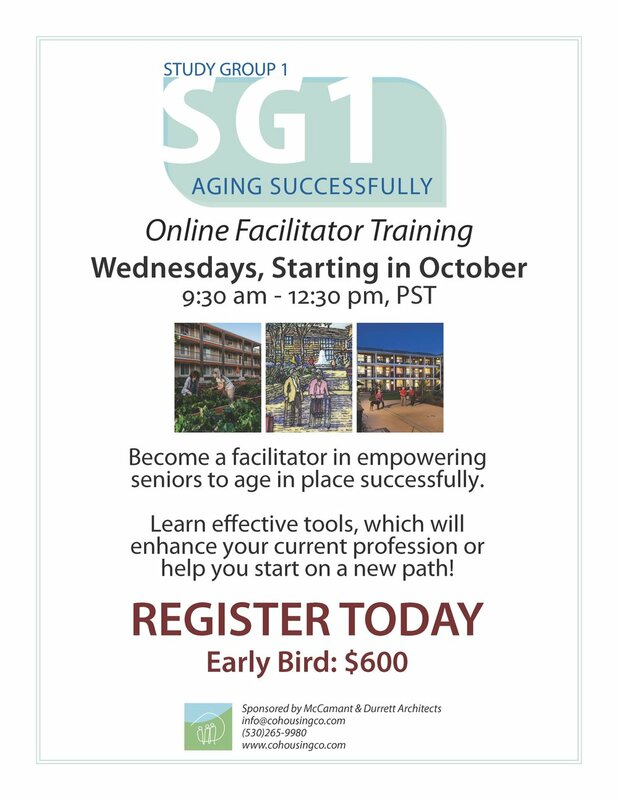 Participants will view examples of senior cohousing communities and, through group activities and discussion, will discover solutions for supporting themselves and their community age in place successfully.